Our driveway cleaning services makes your driveway, walkways and sidewalks look new again as these surfaces may be extremely dirty due to the difficulty in washing them with just a traditional garden hose. This may lead you to believe that you just have to live with dirty concrete. 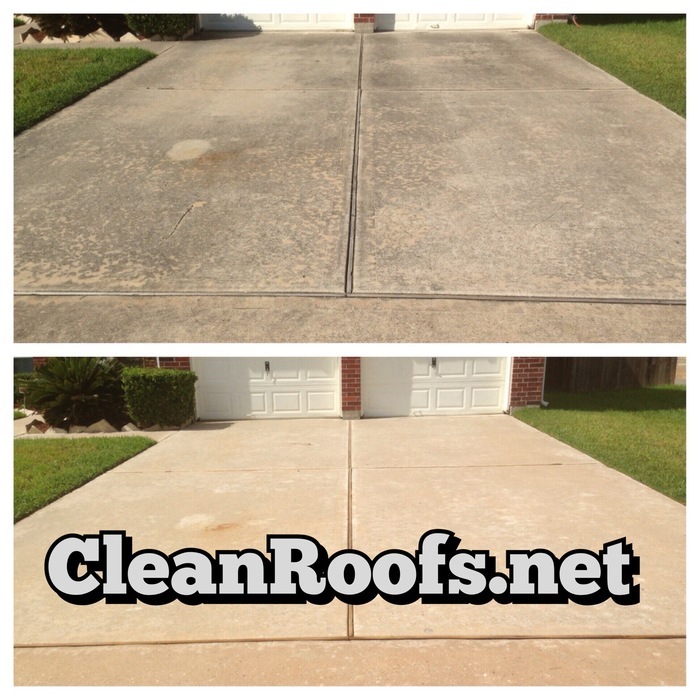 We have all the special concrete cleaning equipment needed to make these areas shine like new again. Some home owners are ambitious at first and try to take on the concrete cleaning job themselves. However, they soon become frustrated when they realize that the Home Depot cleaners and a rented pressure washer are not doing the job right and costing you nearly the same price as hiring a professional. It is at this point that many people see the benefit in contacting a concrete cleaning company to get the job done professionally.